A Catholic priest was stabbed as he celebrated meeting in Montreal on Friday morning when anaesthetized parents watched, according to officials and video recordings. The frightening incident, which the authorities said was not terrorist, unfolded just before midnight. 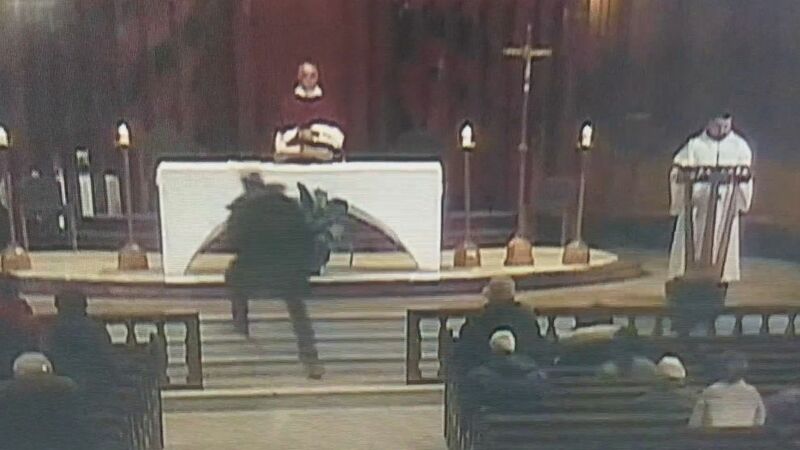 9 on the historic St. Joseph Oratory, leaving father Claude Grou, 77, with lacerations to his upper body. According to US police spokeswoman Caroline Chevrefils. He was shaken at a local hospital where he was built in stable condition, according to the Montreal diocese . "There was a man, a young man who stood up and quickly went to the sanctuary behind the altar, where Abbé Claude Grou stood," Philip Barrett told the Montreal Gazette. "No one was sure what had just happened and I saw the pastor move a little further away from that person." (Obtained by ABC News) A Catholic priest was stabbed while celebrating Mass in Montreal on March 22, 2019, which stunned the parents looked at, officials and video recordings looked at. The attack was broadcast on a live video stream. The alleged attacker, a 26-year-old, can be seen on video recordings running up the altar, knocking over a light, and then attacking the pastor with a sharp object. He was then detained by church security until the police arrived, Chevrefils said. 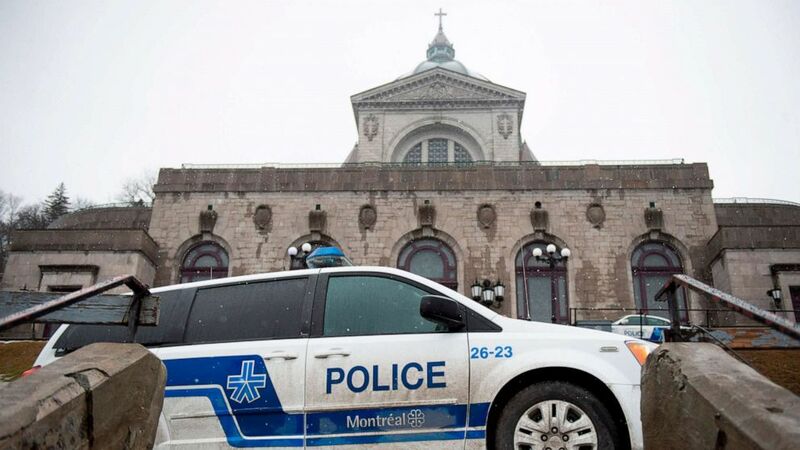 <img src = "https://s.abcnews.com/images/International/priest-2-gty-er-190322_hpEmbed_23x16_992.jpg" alt = "Police provide security at Saint Joseph's Oratory in Montreal on March 22 2019, after Catholic priest Claude Grou was stabbed during a livestreamed breakfast,  Police provide security at Saint Joseph's Oratory in Montreal on March 22, 2019, after Catholic priest Claude Grou was stabbed during a life-sized breakfast. The television channel that broadcast the service lived told ABC News that it cut the feed after the stabbing took place. In a statement the channel Salt + Light apologized for "the interruption of living mass … because of a serious incident." (Sebastien St-Jean / AFP / Getty Images) Police provide security at the Saint Joseph's Oratory in Montreal on March 22, 2019, after Catholic priest Claude Grou was stabbed during a livestreamed breakfast. Montreal Mayor Valérie Plante called the attack to a "horrible and indestructible gesture that has no place in Montreal." "What a terrible attack in Saint Joseph's Oratory in Montreal tomorrow," Canadian Prime Minister Justin Trudeau tweeted. "Father Claude Grou, Canadians think of you and want you a quick recovery.